Pathological staging uses the same TNM or ABCD coding systems as clinical staging. The critical difference is that pathological staging can only be carried out on the whole extracted prostate, and therefore can only be done after radical prostate cancer surgery. Pathological stages are (or should be) preceded by the letter “p” to clearly indicate that they are indeed pathological stages and not clinical stages (e.g., pT2aN0M0 as opposed to T1cN0M0). It is important to remember that there is no such thing as a pathological stage that starts pT1… . T1 is a clinical stage only. The lowest possible pathological stage is “pT2aN0M0,” which indicates that cancer was found in one half of one lobe of the prostate only, and that there was no extension of the cancer outside the prostate or into the seminal vesicles. Because the pathologist has the entire prostate to study after surgery, he or she can carry out a much more detailed analysis of the tissues, and is able to examine all the tissues of the organ as opposed to just the cores extracted at the time of a biopsy. Whether there is any sign of cancer within or through the surgical margin (i.e., the edge of the tissue that the surgeon has extracted). If cancer appears to be visible at the edge of the surgical margin, then this is called a positive surgical margin, and is not the ideal situation, because it means that there may be some cancer in the surrounding tissues that have been left behind. The actual sites of cancer within the prostate by comparison with the originally estimated sites of cancer within the prostate based on biopsy results. Whether there is any sign of cancer in the seminal vesicles (which cannot be biopsied). Whether there are clear signs of perineural invasion. The pathologist will provide a full report to the surgeon based on his analysis. The final clinical stage reported by the pathologist post-surgery is known as the pathological stage. A recent report suggests that in experienced centers there is a 75 percent correlation between pre-surgical, clinical stage (based on biopsies) and post-surgical, pathological stage (based on the entire organ), and that this correlation has increased significantly since the early 1990s, when it was only 58 percent. However, this still means that for 25 percent of patients there is a difference between the pre-surgical stage and the post-surgical stage. Furthermore, the same report notes that far more patients are “understaged” at the time of biopsy than are “overstaged.” In other words, of the 25 percent of men who are not accurately staged at biopsy, most will end up learning that they had a higher stage than originally expected. The actual correlation between the accuracy of the biopsy-based clinical stage and Gleason score and the pathological stage and Gleason score may vary from institution to institution depending on the skill and experience of the person carrying out the biopsy, the person carrying out the surgery, and the pathologist(s) examining the available tissues. We also wish to emphasize that a pathological stage (and a pathological Gleason grade) can only be assigned in the case of patients who undergo prostate cancer surgery. 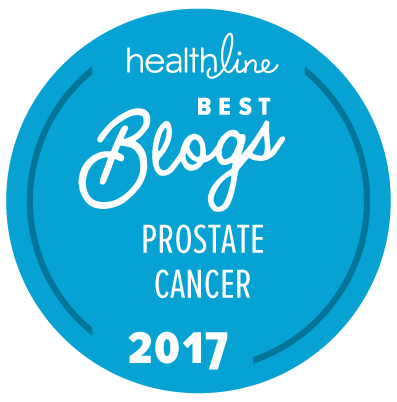 Patients who are treated with radiotherapy or any other form of non-surgical treatment do not have their prostate removed, and so it is impossible to assign a pathological stage or grade. Jerimiah Bowman is diagnosed with clinical stage T1c disease. He is 52 years of age and one of his grandfathers died of prostate cancer. He had a PSA of 2.9 ng/mL and two positive biopsy cores out of a total of 12 cores extracted. In one of the two cores, 17.5 percent of the tissue was cancerous and the pathologist assigned a Gleason grade of 3 + 4 = 7. In the other positive core (from the opposite lobe of the prostate) only 5 percent of the tissue was cancerous, and the pathologist assigned a Gleason score of 3 + 3 = 6. Because of the family history, his relatively young age, and the positive biopsy, Jeremiah very reasonably decided to have surgery immediately. He went to an excellent center and there were no problems with the operation. However, three days later his surgeon had to tell him that there there were clear signs of more extensive cancer in the pathological report. His pathological stage was actually stage pT2bN0M0 (margin negative), and there was at least one focus of cancer of Gleason grade 4 + 4 = 8 and several others of Gleason 4 + 3 = 7. All of the foci were relatively small, and there was no sign of cancer in the surgical margins or the seminal vesicles, but as a result of the higher pathological stage and the higher Gleason scores, it was going to be very important to monitor Jeremiah’s cancer with care because of the possibility for progression. This was not what Jerimiah wanted to hear! However, his surgeon pointed out to him carefully that his cancer all still appeared to be confined to the prostate, and there was an excellent likelihood that, as a consequence, all his cancer had been removed.